Rural income is increasingly diversifying away from agriculture to non-farm income, which currently accounts for 40 per cent of total agri-household income. Major sources of non-farm income are dairy and poultry, wage-based occupation, sand mining, tractor rental income and small businesses. An increase in infrastructure activity creates jobs and aids rural income. As the agri-economy improves, it is likely to create additional demand in the non-farm sector, including processing, transportation and packaging through backward and forward production linkages. However, this may only have a marginal-to-moderate impact on non-farm income and as such broader growth, to a large extent, depends on the degree of institutional investment as well as other local conditions, which in turn is shaped by government policy. offset the decline in farm incomes over the past two years. The disruptions from GST implementation and sand mining restrictions in a few states that had impacted 1HFY18 adversely had partly abated by 1HFY19. There were also limited initial signs of a wage growth pick-up – notably in Andhra Pradesh, eastern Uttar Pradesh and Haryana. The wholesale channel continues to adjust to the changes brought by GST implementation and formalisation of the economy. Hence, a decent uptick in non-farm income is expected going forward, aided by the continued focus of the government in rural capex, that is irrigation, housing, roads and electricity, and boosted by additional benefits such as partial electricity waivers in Rajasthan. Rural India accounts for 67 per cent of the country’s population and therefore remains a significant priority in government spending. In addition, 2018 and 1H2019 are crucial in terms of state assembly elections (5 in 2018, 4 in 2019). Given the electoral importance of rural India, the government is likely to accelerate steps to aid growth in rural India and complete or accelerate projects to develop housing, roads, electrification, and irrigation. *Rural India has always remained a focus area in budget spending. The Union budget allocated Rs 3.7 lakh crore to the rural sector, inclusive of food subsidies, yielding 12 per cent YoY growth despite a high base. Besides this, the government intends to raise funds through extra budgetary resources for schemes around rural housing, electrification, irrigation, hygiene and sanitation. This would effectively double the YoY spending on these schemes in FY19BE. It should be noted that the centre allocates funds in the form of revenue expenditure, which when transferred to states are spent for asset creation such as roads, houses and toilets. *How has the government’s rural spending panned out FYTD19? According to JM Financial’s estimates, rural spending until August for the centre stood at Rs 1 lakh crore, which is almost 10 per cent of its total spending. This implies that rural spending has been expanding 29 per cent YoY versus 19 per cent YoY during the same time last year. In terms of top spending departments or ministries, the Ministry of Rural Development stood fourth, spending a total of Rs 63,800 crore up to August, that is 56 per cent of budget estimates ex-subsides. *States budgeted a robust 22 per cent YoY expansion in rural capex: Rural India has been the key beneficiary of states’ spending in FY19BE due to, firstly. the fiscal boost up to Rs 42,600 crore; ie 53bps of GSDP for the six states that have made provisions for farm loan waivers in FY19, and, secondly, strong rural capex growth – 22 per cent YoY in FY19BE versus 14 per cent last year. Irrigation constitutes around 62 per cent of the rural capex. Five states – Andhra Pradesh, Telangana, Maharashtra, Uttar Pradesh and Karnataka – contributed 52 per cent to overall rural capex. Overall rural spending stands at Rs 5.4 lakh crore, growing 9 per cent YoY versus 30 per cent YoY in FY18RE. 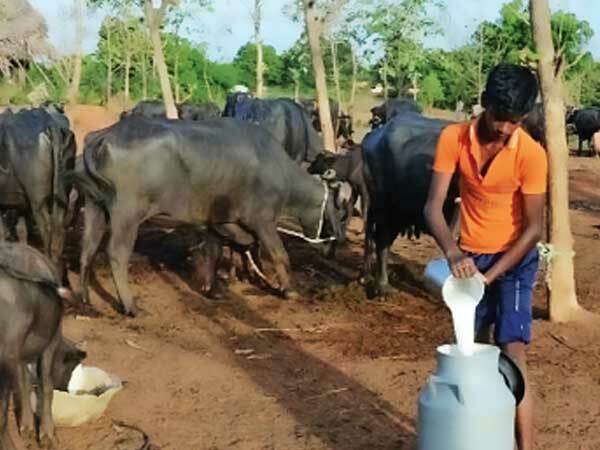 *Farm loan waivers aid in consumption growth: Six states had budgeted for farm loan waivers – Uttar Pradesh, Maharashtra, Karnataka, Punjab, Rajasthan and Andhra Pradesh – amounting to 21bps of the combined GSDP. However, when Karnataka presented its revised budget (due to a change in government), additional farm loan waivers worth Rs 35,000 crore were announced, with budgeted allocation of Rs 6,500 crore in FY19.Overall budgeted provisions for farm loan waivers in FY19 amount to 25bps of the combined GSDP (17 states; 90 per cent of India’s GDP). *For farmers, the key consumption categories — education, medical, housing and other expenses, lie marriages – drive an increase in household debt; therefore, the additional inflow from farm loan waivers helps repay informal debt or increases current consumption. During the survey, farmers indicated that as some farmers earlier declared NPAs got farm waivers and were eligible for new crop loans (on KCC). Some beneficiaries used the additional cash inflow for the purchase of automobiles and, in particular, tractors. As the general elections approach, there may be increased demand for loan waivers across more states going ahead.